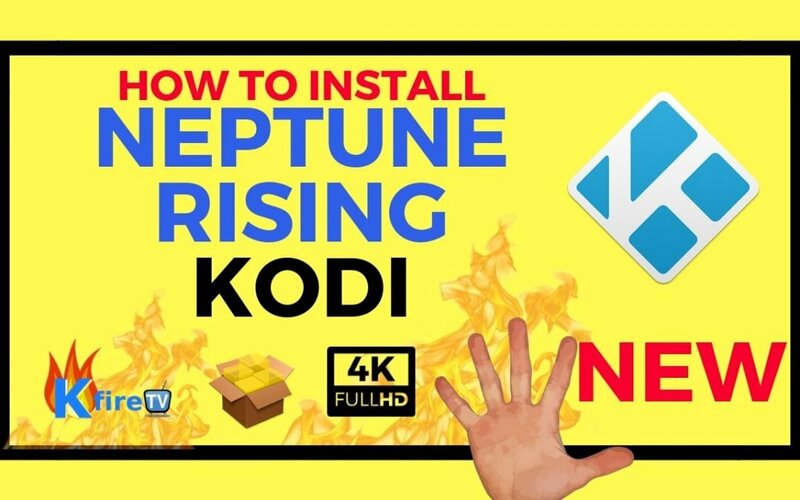 This step-by-step tutorial shows you how to install Kodi Neptune Rising. The Kodi 18 Leia Beta 1 is just release and this is set to replace version 17.6 as soon as possible. But if you already have the latest version, you don’t really have to upgrade as this is a beta version. Yet if you want to check it out for yourself, you can try it out via the links listed below. That being said, there are some great improvements that come with Leia. Pro Tip: If you like Kodi Neptune Rising, then you’ll love Kodi Mumm-Ra Addon. One of them is the fact that you have better 4K ultra HD video resolution decoding and improved Android support. You have the same Estuary skin from the previous version, so there are only stability changes and some features like the ones above. Download Kodi 18 Leia and install it. If you have one of the previous versions, then this will update it automatically! You can get this from the Kodi site Here. You just have to select the desired operating system and you will be more than OK in the end. If you chose the right OS, select the Pre-Release tab and then pick the best version. You now have to install via the file and then you are good to go. You just have to set it up. You will need to make sure that you turned Unknown Sources On. This is the only way you can install any third party add-ons. Click the Settings icon, it’s the second one in the upper left. Click yes when the warning box comes in. You will have to set up Kodi 18 Leia like the previous version, meaning that you need a repository URL. We created a step by step install of the Blamo Add-on Neptune Rising. But of course, these steps work to install just about any add-on that you may want without any problem, you just have to change the repository. We do recommend you to use a good VPN if you use KODI, as this will help you avoid a whole lot of problems, so try to take all of that into consideration. Ideally you also want to make sure that you take your time as you try to find the best option. Our website is not affiliated with Kodi, any builds or add-ons. We are just offering you informative content that will help people, however if you choose to follow ideas and use this tool, any copyright infringement is brought on you! Insert the http://repo.mrblamo.xyz URL and then you can click OK.
Name it Blamo and then you can press OK.
Make sure that it’s all good, then you can click OK! When the box pops up, make sure that you choose Blamo. You will see a list with all the stuff that can be installed, you just need to press OK. Most add-ons will just scrap the internet for TV show and movie links. They will not host files, instead they just give you links. You will have various categories in them, depending on what you choose to install and stuff like that. If you click the top link, the add on will try to play the stream. Sometimes the pair box will appear and you can move on to the next link if you want. The pair box is a website that allows you to play the stream right away. You will have a lot of ads and spam there, so it’s very important to stay away from sites like that unless you use them via Kodi. After the stream starts, it will buffer for a little bit. But it will continually try to find the best link. You will notice that finding a good link can take a while, so all you need is patience.